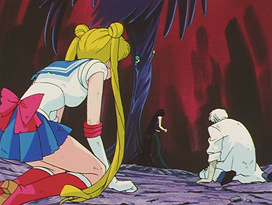 Animation errors in Sailor Moon S, the third season of the anime. 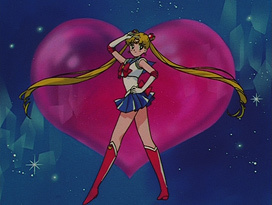 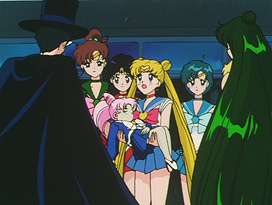 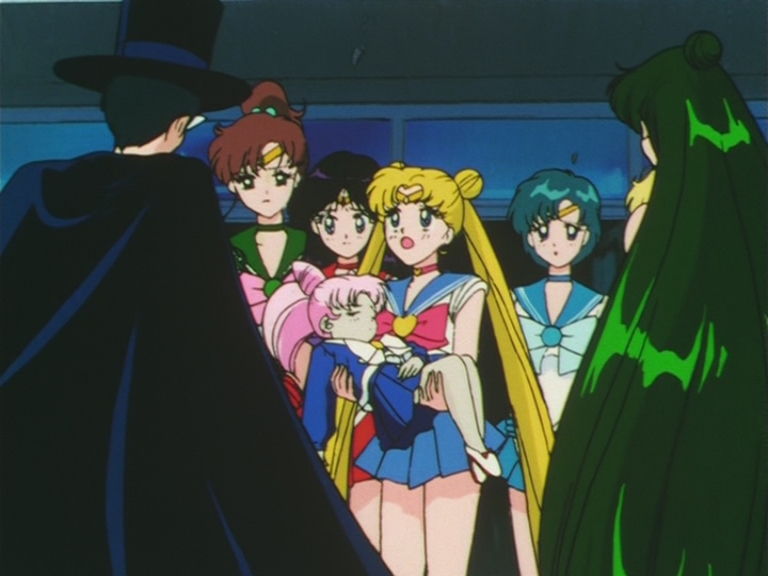 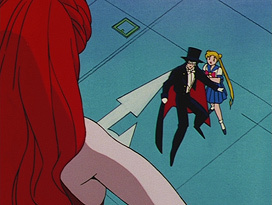 In episode 114, "Moon Tiara Action" has a crescent moon on Sailor Moon's choker for a few frames, instead of a heart. In episode 121, "Moon Cosmic Power Make Up" is missing the heart ornaments previously seen. 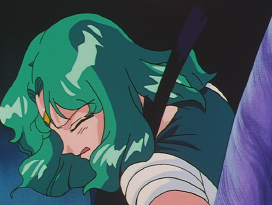 In "Neptune Planet Power Make Up" Sailor Neptune loses her neck in a frame. 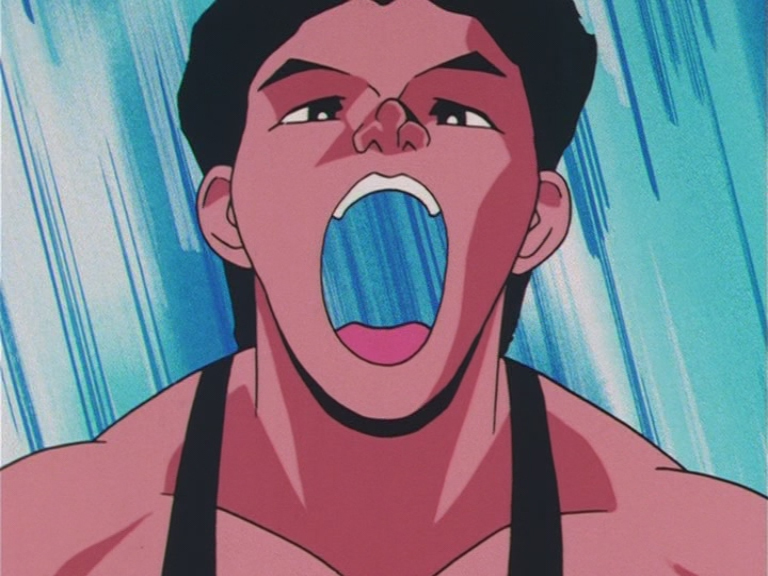 A man is missing the insides of his mouth. Sailor Venus' ribbon is yellow instead of blue. 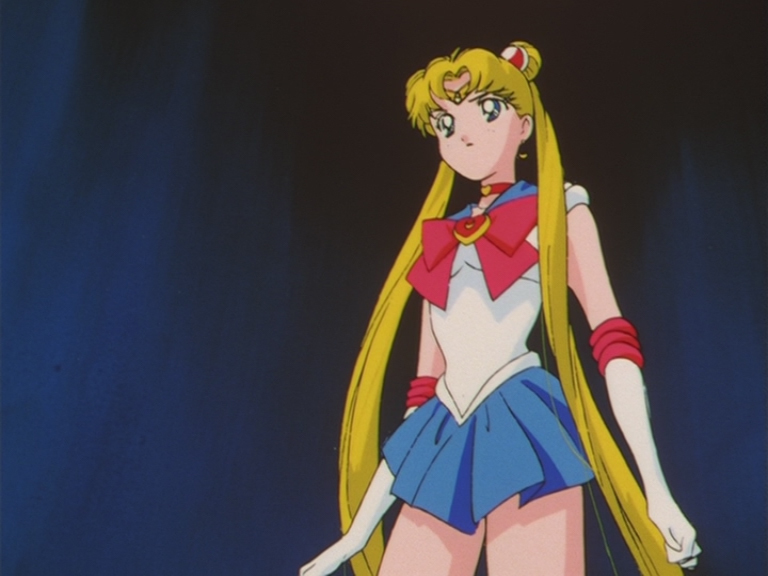 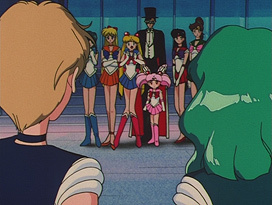 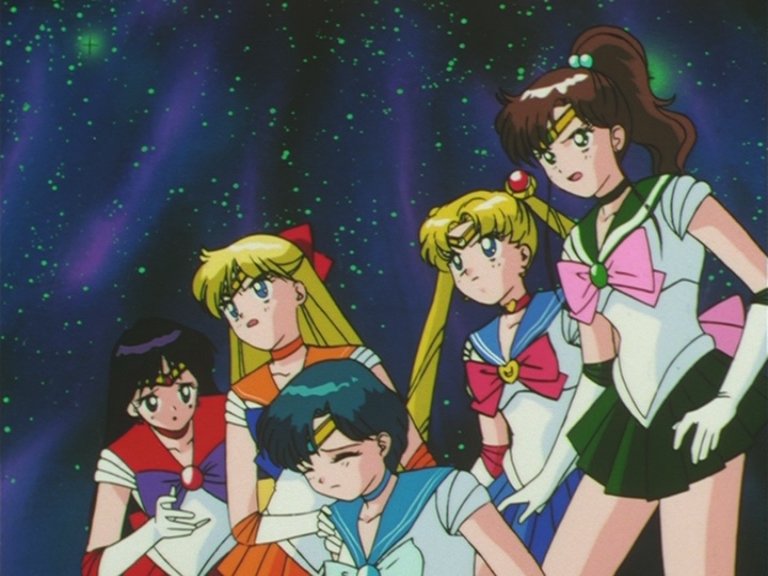 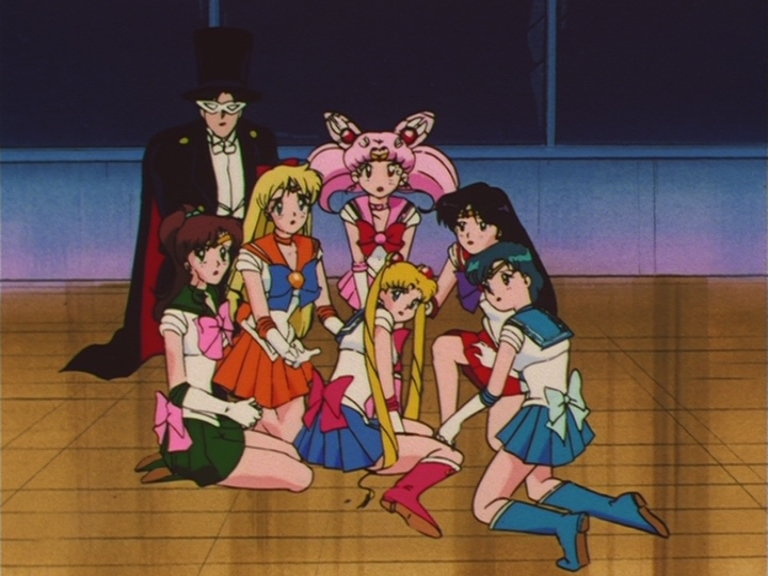 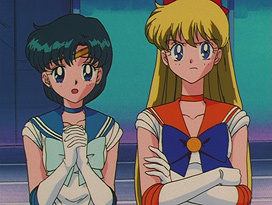 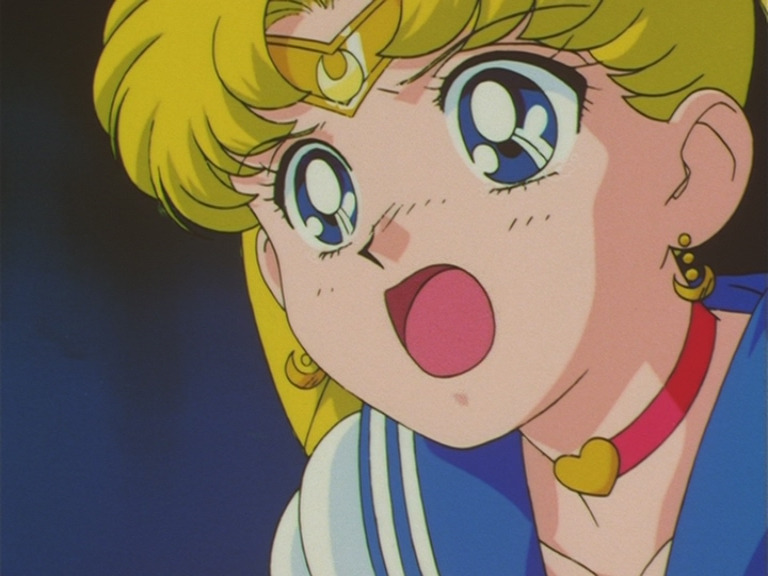 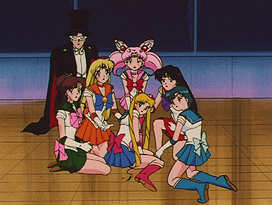 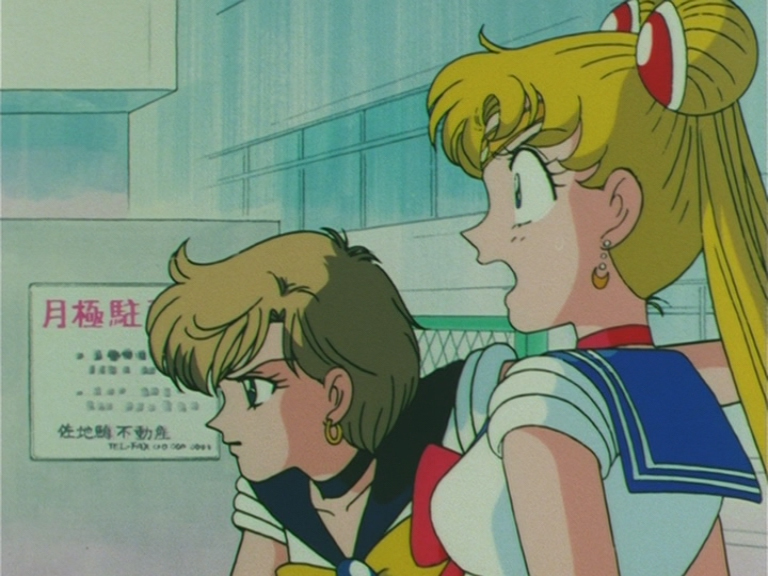 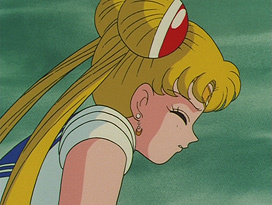 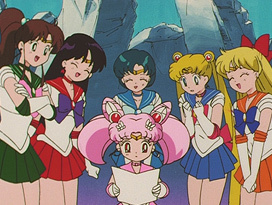 Despite having her brooch stolen earlier, Usagi is shown with a solid yellow brooch in the center of her ribbon. 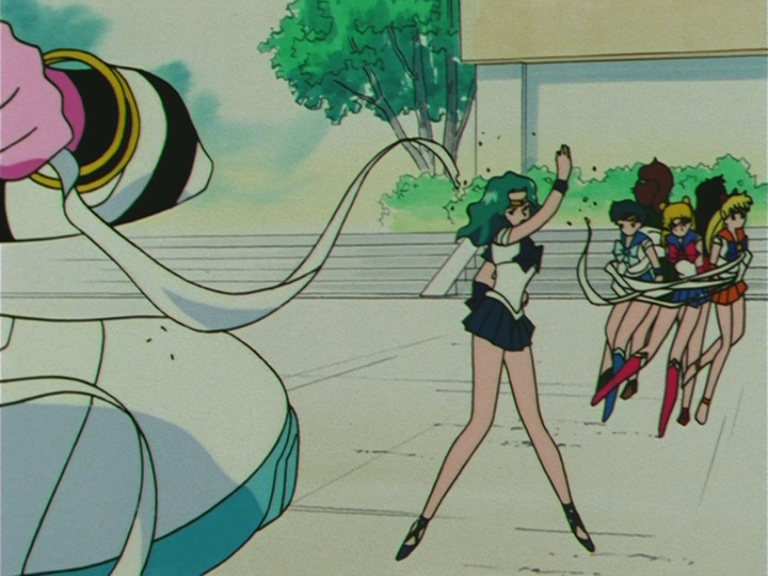 Sailor Neptune's right glove briefly turns skin colored. 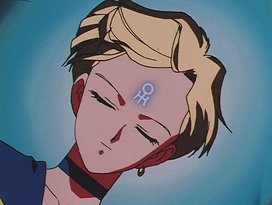 Sailor Uranus' symbol is upside down. 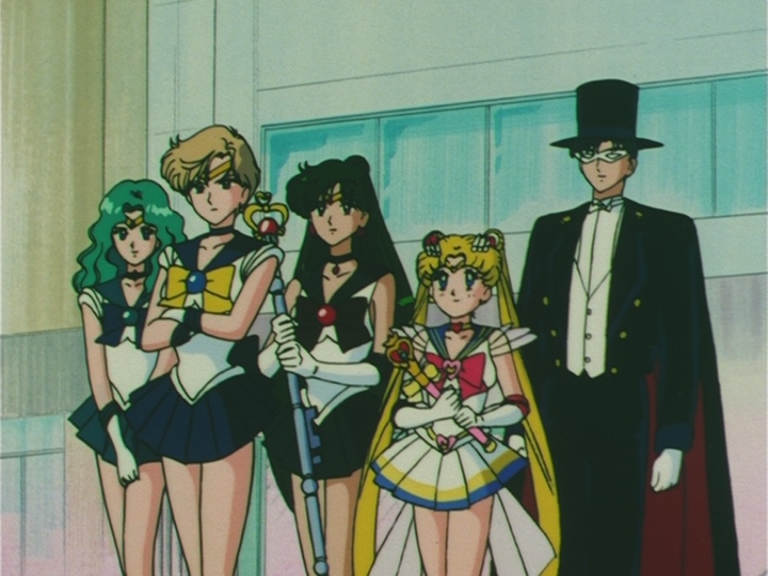 Sailor Uranus' tiara is missing. The top of Sailor Pluto's garnet orb is mistakingly colored gold. 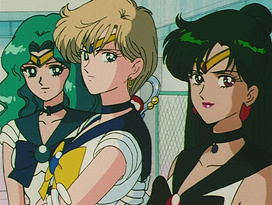 Sailor Pluto's choker jewel is dark blue instead of garnet. 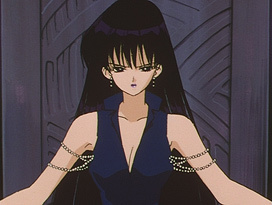 U-Tahime goes from having no nail polish to black nails the next scene. Sailor Moon has no tiara, and Jupiter's brooch is pink instead of green. 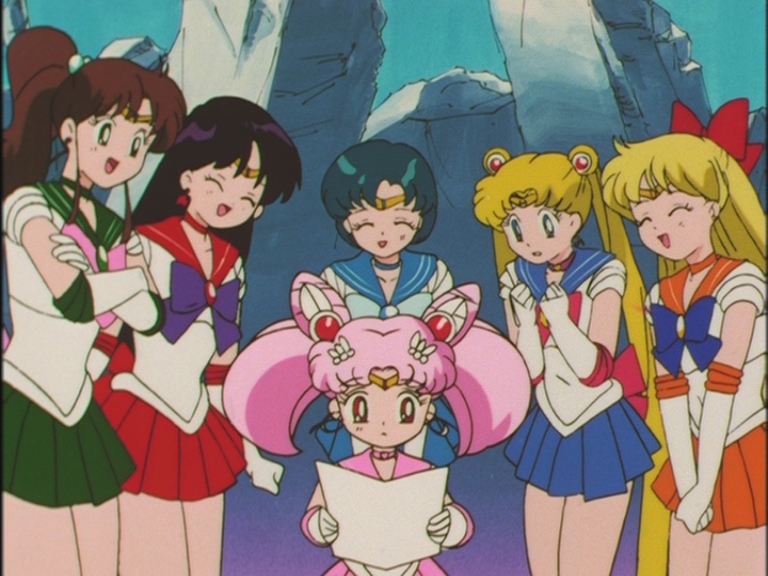 Sailor Moon's odango gems are the size of her entire odangos. 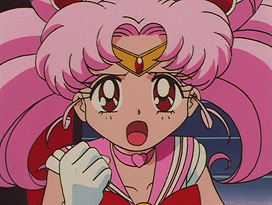 Sailor Chibi Moon is missing her hair clips. 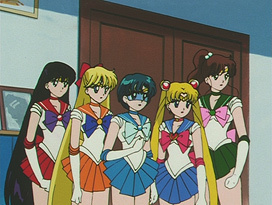 Sailor Venus is missing her tiara. 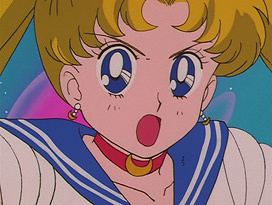 Sailor Chibi Moon's hair clips are gone. 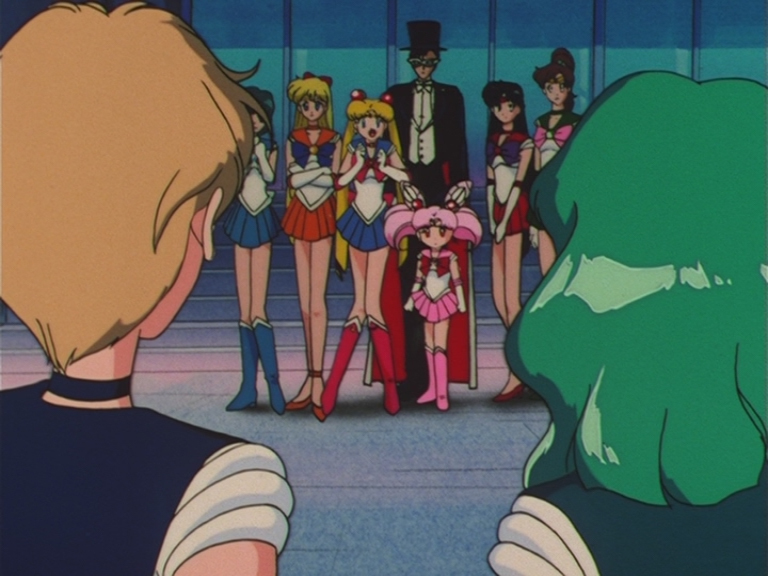 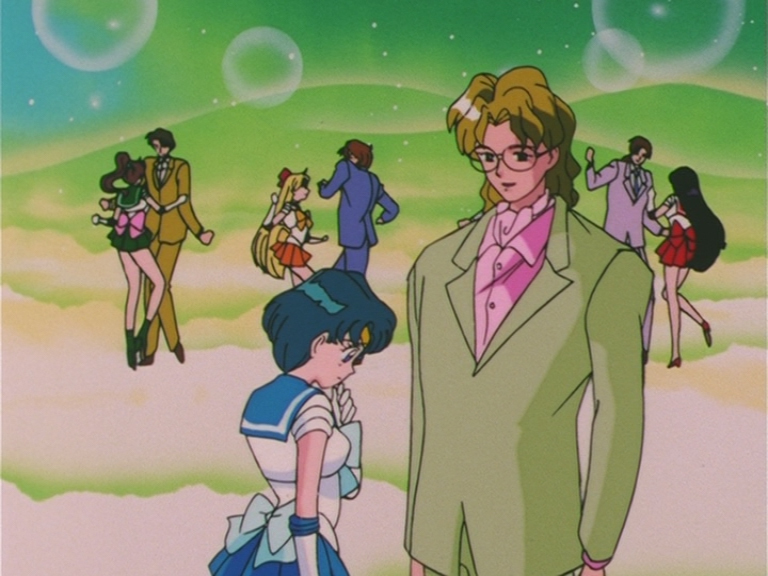 Sailor Moon's odangos only get bigger and bigger in this episode. 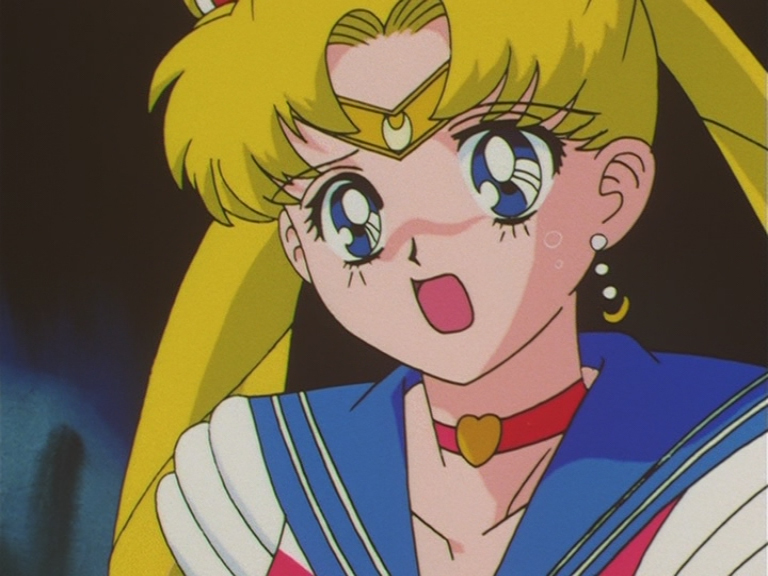 Super Sailor Moon can be seen wearing the earrings of her previous form multiple times. Sailor Mars is briefly lacking the stripes on her collar. Sailor Jupiter's collar has the wrong stripe style, and when she nods, the highlight on hers and Sailor Venus' brooch temporarily vanish. 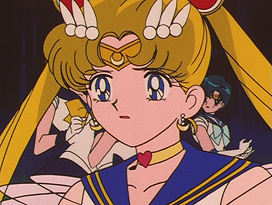 Sailor Moon's odango gems are missing. 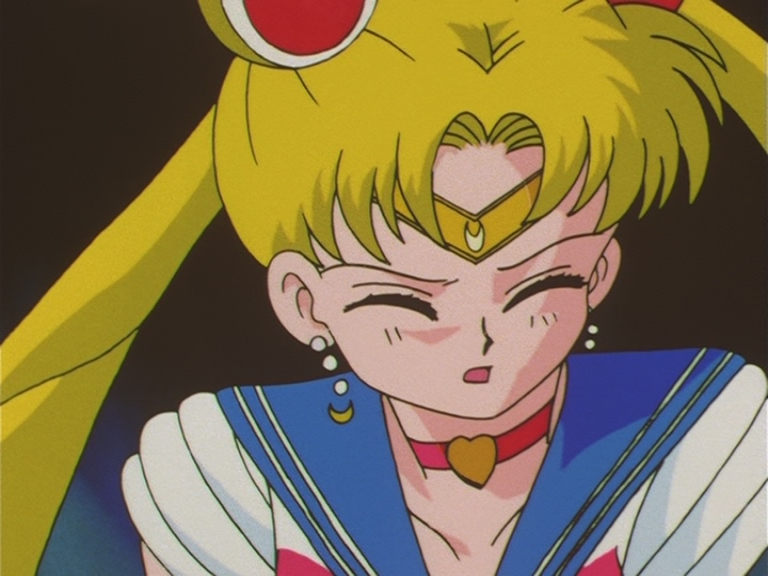 Her brooch is also yellow instead of red with a yellow border. 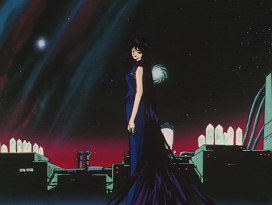 The beads on the front of Mistress 9's dress are gone. The beads on Mistress 9's arm disappear after she turns around. Her right earring is missing during one frame. She also loses the crescent piece in another frame. 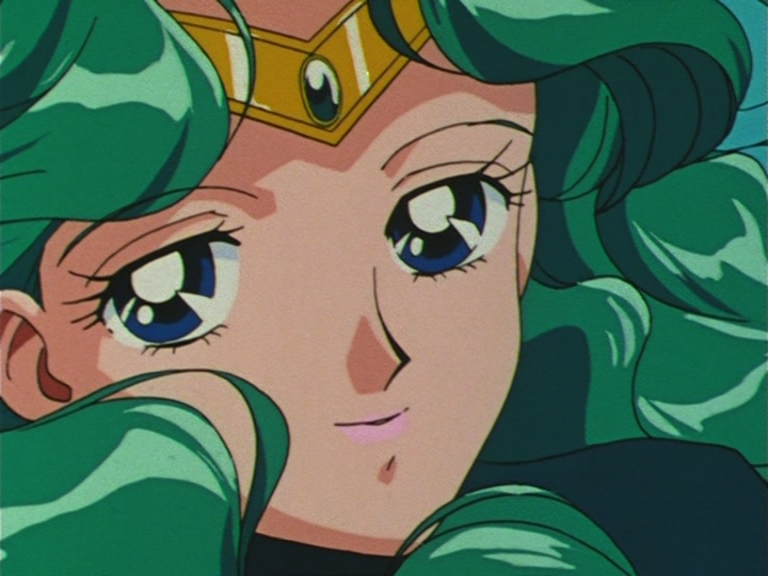 A piece of her tiara is missing temporarily. 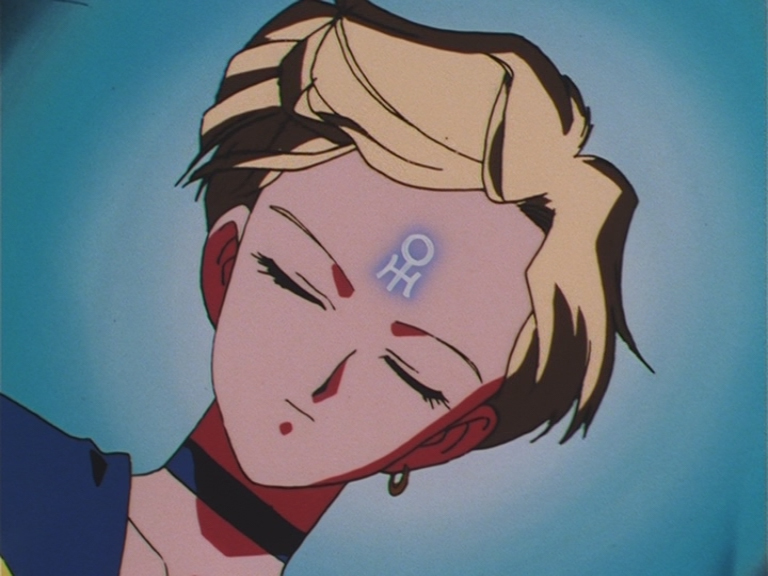 The upper part of Mistress 9's arms have been colored blue. 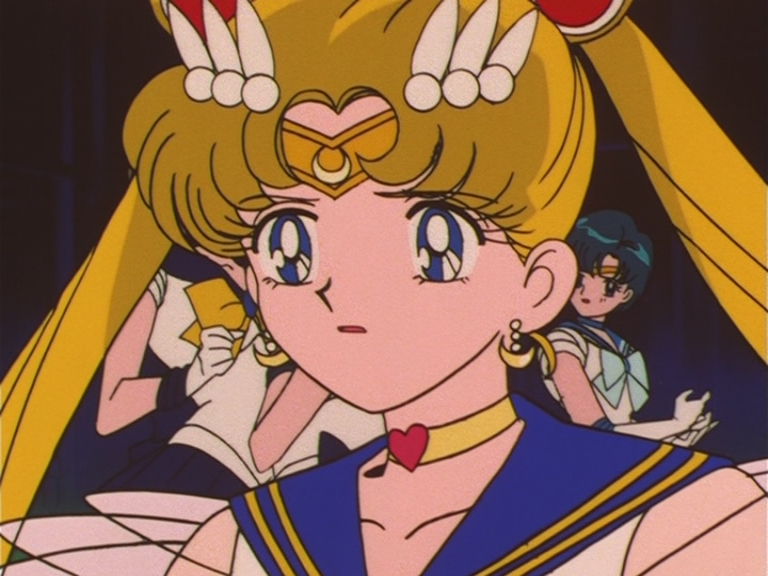 She's missing her back bow. The pearls on her earrings are yellow instead of white. 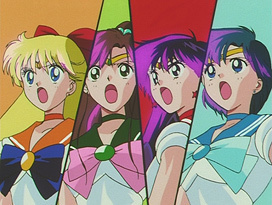 Parts of Sailor Moon are colored wrongly. 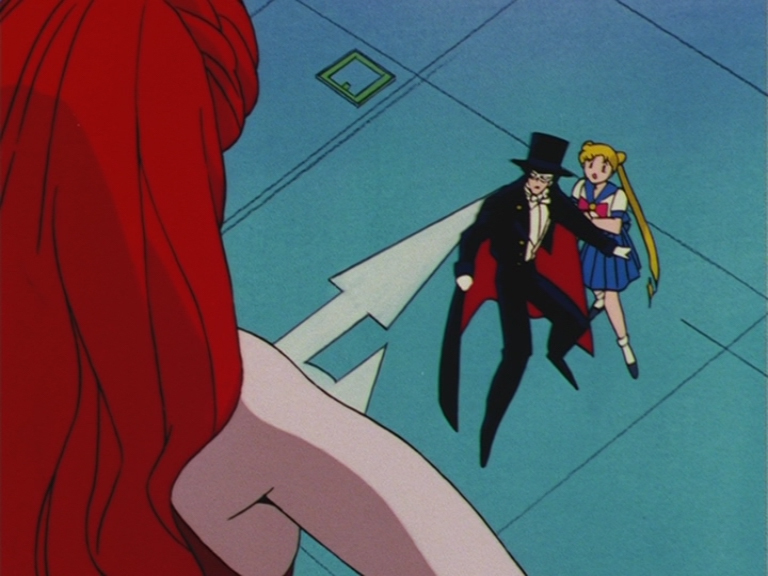 Her left arm is in fact her hair, and her suit is actually her arm. 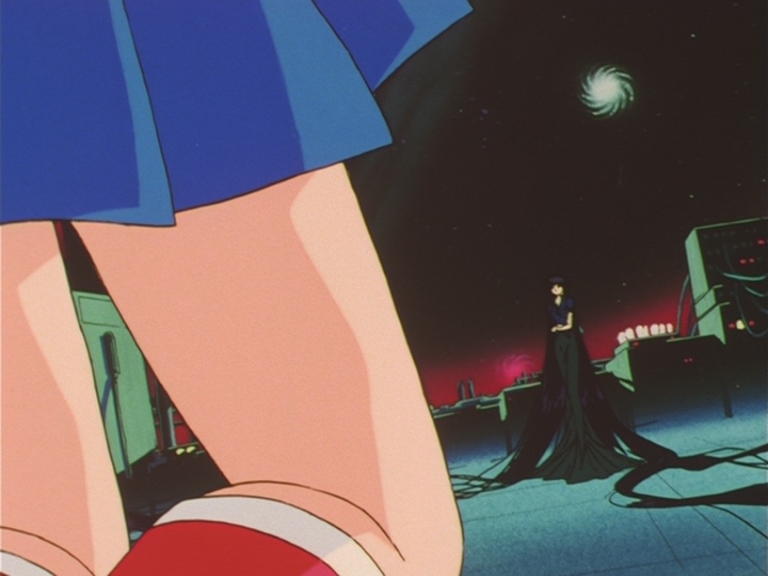 The soles of her boots are supposed to be red. 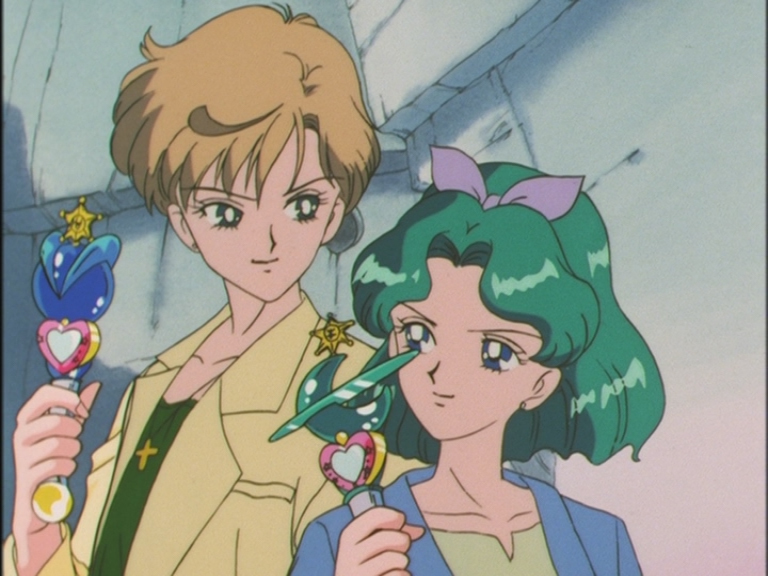 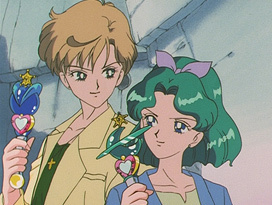 Haruka and Michiru's Lip Rods are gigantic.